It was once mentioned to me by an English teacher at school that they were surprised by the content of a piece of homework I had written. It was remarked that my written word was far more advanced than my other forms of communications. By this she meant my mouth. I will never forget that day as it was the first verbal affirmation of my writing ability. The article in question was a mere review of the film ‘Star Wars’, a strong favourite of mine at the time, and a subject I had spent a considerable amount of time thinking about. This was around 1979, and in the UK we had yet to discover the luxury of the VHS player, and my one visit to the cinema with my Dad had been the only opportunity to see a film that had blown anything else I had seen previously clean out of the water. It was to my viewing experience what someone living on rice their whole life would feel given a bar of chocolate for the first time. It was not just a different ballpark, it was a different game altogether. So having sat around in the playground, with months to relive this astounding cinematic experience in my mind, I was just busting to get this down on paper for the world to see. Or just my English teacher as it goes. The point is that I found the written word the ideal way to express myself. I could think about the structure of the article, I had time to consider what I really wanted to say. I could have all the conversations I wanted to have in one succinct statement, tailored to deliver the message I was trying to portray. As an adolescent male, this was infinitely preferable to the outpourings of confused thoughts conveyed by my uncertain verbal skills. That is the point. It does not matter of you are a teenager or an ageing reptile, the written word gives you the time to think about what you are trying to say. It allows you to take back a phrase made in haste; it allows you to undo a critical error before the damage has been done. In reality it allows you to edit the outpourings of the mind. I have never had this ability through the spoken work, and frequently I upset those around me. How often of an evening I pass off a silent shudder at the memory of an inappropriately spoken word at work during the day. If it had been written I could just delete and rewrite, rather than have to consider the recovery tactics I need to put in place the next day. This is the curse of an overactive mind and I am sure you all know what I mean. Of course it wasn’t always as easy as it is now. When I wrote my book report at school it was on the pages of a battered exercise book, with scribbled out lines and scruffy revisions. Now we all write on Word, and with ‘Back Space’, ‘Delete’ and the persistent assistance of ‘Spell check’, delivering the written word is more efficient than it ever was before. Of course, we are still subject to human error, and with the quick dispersal of information over the internet, an error can reach a far wider audience in a far shorter time. This is the subject of a previous blog so I won’t go there now. We do now have an easy and efficient framework to deliver the written word to a comprehensive and far reaching audience. Even that school kid with a book report can be read across the globe in minutes. So for me the motivation of writing is to say the things I want to say, and hopefully get some feedback and discussion on the topics that spill out of my ever active mind. At this point I have to say I am a little disappointed as to how little feedback I do get at times. It is not the validation I seek, but rather the confirmation that the words I have so lovingly crafted have delivered their intended message. It is also very important to grow as a person, and this is only really possible by consuming understanding the differing perspectives possible on a subject. I believe there is no wrong or right, just relative perspective. So I am keen to know what other people feel about a topic, with no requirement for sanctimony, only the truth. But that is about feedback, and this article is about the word itself. The use of the language we have been provided with, and the way we sculpture these words into a work of expression, of art, of unique deliverance of a subject. Writing is an art form just as painting is. It is the externalisation of the inner most feelings. It does not mean you have to ebb and flow like a Wordsworth or a Coleridge, or conceptualise as a Huxley or a Burrows. What you write is individual to you, and by definition should be an expression of who you are. 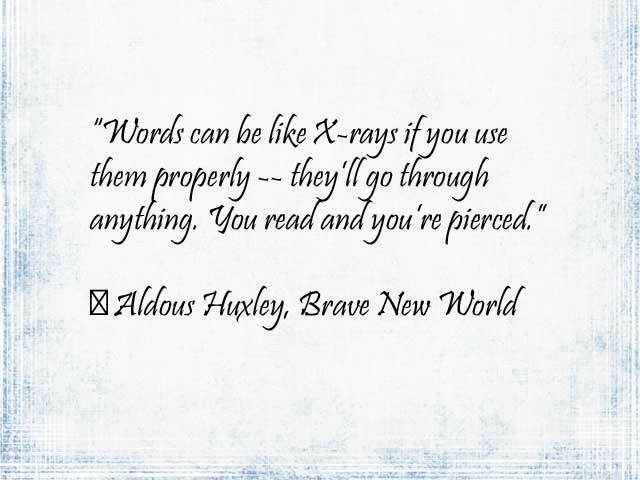 And that is the power of the written word, it can portray an emotion, or a feeling, and can be delivered in such a multitude if different ways, of differing methods of construction. It is infinite in its interpretation of life for it is a direct explanation of the random wanderings of the mind. It is the essence of who you are. It does not hide behind colours and objects. Writing is the absolute outpourings of the soul. Well it can be, not every subject will come from that deep down, but every piece of written work will have attached to it the trappings of its author and carry the thumbprint of your being. Take to your lap tops, to your tablets, write what is on your mind and share this with the world. Let’s make sure the internet and it’s ever growing reach becomes a platform for debate and human growth, not just an exercise in how much can be said on Twitter in 140 words. Use the language you have to express yourself and share your thoughts. So having said that, please share your comments below. Or if you feel inspired, write an article and post it on the internet. You can always register here and post. I will do my best to assist the spread of your message, of your art. Yes, I agree. I love written correspondence, even texts and emails, over phone calls usually. I like to reread a friend’s words to make sure I didn’t forget something. In prior romantic relationships, I loved rereading the flirtatious messages. Phone calls are gone forever once done. At work, I much prefer written communication so there’s no mistake about what was said. Great post! Thank you Paula. It has always been my passion. What attracted me to sites are the written narrative, the photos are secondary, the context is very important, You have both attributes. It can be frustrating to find audience who are willing participants and will prefer to live their footprints by ghosting or liking, Words, I enjoy your words. Thank you, Gavin, for writing. Writing is my thing. I use the photos to back up my experiences, and sometimes the time to write is not there, but right now I am working on a crazy short story that I hope to finish one day soon. Thank you for taking such an interest. I have enjoyed reading your site as well. I envy people who can write and have wild imagination that they use words that make the story jump out of paper and come to life. Yes, it is a fun thing to do as well. We all have our strengths though, and verbal communication has never relly been one of mine. I envy people who can just know what to say to other people. I aalways find it such a struggle. Public speaking helps. Taking time to think before speaking is a big plus. I took Dale Carnergie course then. It helps. Taking time… that’s why writing is so much easier. I know. i have been googling Dale Carnagie. I will look further when I am home from work tonight. Some self improvement I can manage myself, fitness etc but some stuff I think I may need some help with. you have really set me thinking now. Don’t let those lively stories fool you! Unless a writer is exceptionally gifted, those stories have gone through hours, days, weeks of revision to appear that effortless. This I can believe, although the more you write, the more it flows naturally I find. Don’t you? Yes, it does, but I need to let drafts rest for a time and then go back multiple times to get the revisions right. I also love to tinker at the sentence level. Some is genuine, necessary editing; some is just playing for the fun of it. I think you have a lot more experience with this. For me this is new ground really. I get so far and then I change the way i want it to look so I have to go back. I also find writing dialogue a little boring, but the story really needs it. Still, In view of the recent conversation regarding comfort zone, and my own thoughts in the subject. I need to just get this done really don’t I. Other things are going to have to take a hit though! Do you write fiction on a regular basis? It’s my genre of choice. Is the story you’re working on crazy-content or crazy-form? I never finish anything, that’s why I like blogging. If I had more time I would. I know you are an author, I have been meaning to spend some time having a read, but I just haven;t got round to it. Sorry. Actually I’m writing a short story about Donald Trump causing the end of the world as we know it. But I’ve got too caught up in other things. I am going to finish it though! Donald Trump, eh? I’d say that’s crazy-content. You definitely should finish it. Just think, if enough people write enough stories about Donald Trump causing the end of the world as we know it, maybe that will stop Donald Trump from causing the end of the world as we know it! My thoughts exactly. I will find the time. It’s just getting back into the flow. I aspire to be a good audience, but it can be difficult with so many voices competing for my attention. (Twitter doesn’t count. It’s just monkey chatter.) When I have the opportunity, I do enjoy sitting alone in a room with a blog post, taking my time with it, and offering something of my own to add to the conversation. That’s what I’m doing right now, in fact. Thanks Liz, and very welcome your opinion is. Time is very valuable, and giving enough to everyone is just not possible. Much as I wish it was. I have my own things I wish to create as well, so finding the balance is a struggle. I love your twitter synopsis, I use it to push my blog, and there a couple of other people I have found along the way, but basically it is monkey chatter!! … “edit the outpourings of the mind”… You have the secret to really inspiring formulations sometimes! I started blogging one year ago because I needed to go back to writing. I wanted to write letters to old friends first but those quickly replied their lives were kind busy right now, and why on Earth going back to pen and paper when you could WhatsApp! I love them dearly, but on that subject, we were clearly on 2 different planets. So I started the blog. To see if I was still able to come up with something. To communicate. To improve my English vocabulary. I chose not to write in French (though it would be easier and sometimes, richer!) because I knew the audience would be limited And I needed communication big time. I wanted to reach out to the world!! And Twitter? 140 words? I never understood the point! 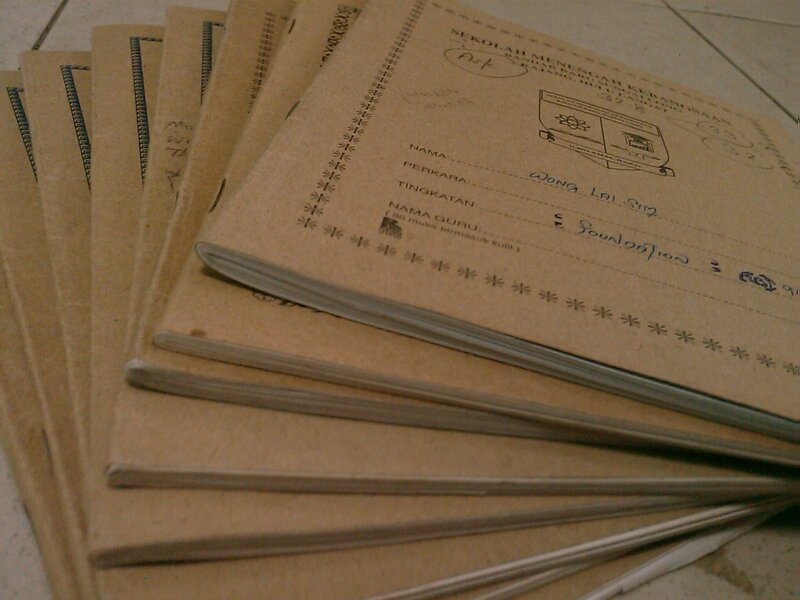 Keep on filling the pages… The feedback will come gradually I assure you. Thank you Véro, meeting you has been one of the highlights of WordPress for me. I will keep writing and you must do the same. And your English is excellent! Merci mon ami. Je partage ton sentiment 😊 and one summer we’ll practice our verbal communication over a glass of wine! Yes, I thought I spoke better French over a glass of wine I mean I don’, but the more wine I drink the less I care! I’m with you about Twitter. I have enough external restrictions imposed on me as it is! And that one is such a silly restriction! Excellent and inspiring post. I’m always in awe with the writers who can express themselves so well and also with those can speak so well without hesitation. Thanks for sharing. It’s my experience that people who sometimes find it difficult to express themselves verbally are the most amazing writers. I’m sure😊 thanks for sharing this wonderful message, I’m sure many of us can relate. Thank you for stopping by and taking time. Thanks Manja, I am beginning to work is out now. I’ve been blogging for ges, but never realised you could have a following. I actually am really enjoying this now, although as you said, there are some people who just stop and like and move on. I think when someone likes eight of you blogs within about 15 seconds you know whats going on. Like you, I enjoy the narrative as well, although it gets harder to read everything the more people you get to know. I have my little core though, a few people who always take the time, and I try to always look at what they post and get involved. I reckon I’m making some really good friends here. My original synopsis of Star Wars has long gone. But now I think my opinion would be even stronger as I see how the original book and movie have influenced modern cinema. Are you a fan? Not really, but I really loved the first three films. Yes, selection is the key. I find myself following too many people and then I lag behind even on blogs that I really love. You were blogging for years without caring if anybody reads what you write? Hmm… I guess I did it too on my first blog. And then we get spoiled. I know a blogger who simply closed the comments and likes on his blog because he said that the response became overwhelming. I find it strange to go there without being able to do anything, just look at his photos. I like the comments, they are giving me confidence in what I write. Writing is really my things, but I love photography as well. At the moment though I’m not finding time to do the serious writing, but I’ll work on that! I can’t imagine attempting to post on my two blogs every day. It would degenerate into mindless drivel very quickly–or a very severe case of writer’s block. In all my four years of blogging I was never a daily blogger, but now, since I started this most recent one with the new year, I have posted every day and not even suffered through it. Obviously I’ve got too much time. Yes, it seems you have, but you have to use your time for something, and this is creative and interesting, so why not? I think we each have our own natural modes of expression that we gravitate towards! It depends what you are writing about. I a covering bits of my life, my travel and things now. I have tens years worth of ideas! I just don’t have the time. Apart from work and my boys this all I do, and still don’t have any time. But it makes you value the time you do get. I know what you mean about the lack of time. I have a very demanding day job in higher ed, which I love, but I do think about how much time I would have to write if I were not working. Ah yes, that would be so good. Love your post on this, Gavin. I have always been a reader and a writer – never a speaker. But my job ended that…being a teacher, you have to speak and read. Not write very much, unfortunately. I found I could enjoy speaking though, and teach how to make a good speech. I started blogging because I wanted to post my poems and photographs to go with them…but not many Swedish people read poetry anymore, and well…then I started to write both in Swedish and English – and finally only in English. but I don’t write poetry in English…Here on WP I have found my new friends to communicate with and even to meet up with in reality – some at least! Current research on reading shows that we are losing it – if there are too many words in an article or a book before you reach a picture to “save” you…you stop reading. People skip words they do not understand immediately, a.s.o. I think I have a book in me, but not much time as you probably have worked out, The blog becomes the testing ground, and all the little pieces one day can be sewn together, But the photos, especially of the travel are important as they help to set the scene. Will live in a multimedia world, so we can embrace what we chose I think. Thank you for commenting so thoughtfully all the time. I really do appreciate you/this/it!! Thank you, Gavin. My pleasure too. I was a classroom teacher for several years, and I always found speaking in front of the class awkward. Then I started teaching online. With writing being my natural mode of expression, teaching online is a real pleasure because I get to write–a lot. How do you get a job teaching online. It sounds ideal Liz? I’m classified as full-time faculty, but my job is more administration than teaching. (I teach one class a term.) Nowadays, most college teaching jobs in the US are course-by-course adjunct assignments. Perhaps it is something I need to look into. My issue is I haven’t got much behind me and I need to keep things going for the boys all the time. I finally have found a job close to home that pays enough money, and its like a gem I need to keep polished. Ah, that is what I wanted to do as well, but I am afraid many others wanted that as well…unfortunately I never found any jobs there. Lucky you! I love words and think we (as a culture/globally) need to nurture writers. At the same time, I am a mass of writing contradictions. I excelled in English at school and did well at university partly because I might not have had the best ideas, but I expressed them better than others. I worked for years as a copywriter, but my greatest enemy is a blank page. I really, really hated having to write — no matter how much the client liked the result. I have become one of those people who feels overwhelmed by the volume of words (especially on the web) and I prefer to keep my own writing to a minimum and tell stories with photography. I appreciate well-crafted prose, and feel genuine delight when I read a phrase that makes me see something anew. I just wish that more writers also aspired to hone their editing skills. I see what you mean. I write because it gives me pleasure, and nothing gives me more pleasure than a really well written piece. And by that I mean something I feel happy with. I think as a copywriter you are having to write things for someone else, which is very restrictive if you appreciate the art of words. I’m not sure i would want to do that. I ended up feeling that I’d lost my voice. I was so good at finding my client’s voice I forgot my own. Actually I know how that feels. I used to write a lot, but used to read constantly. I noticed I was taking on the personality of the people I was reading. I stopped reading. I much prefer revising and editing to filling up the blank page. Interesting. Don;t you like the way words and ideas just form as you write to a point you can’t keep up with your own brain. That to me is the fun bit. Now that you mention it, yes I do, particularly when I go back to it and say, This is pretty good–I wonder where it came from. I feel like that all the time. It shows we are more complex and capable than we normally accept. I hadn’t thought of it like that, but I think you’re right, although a certain part of me likes to think it’s some alchemy of the writing process that works thought magic. Me too. I am a natural editor. Beautiful ode to writing Gavin. Your post really spoke to me . Happy to have stumbled on your blog. Thank you so much.. What a really nice thing to say.